Challenge Blog. My first blog challenge, hope to do more. love your card Judie. 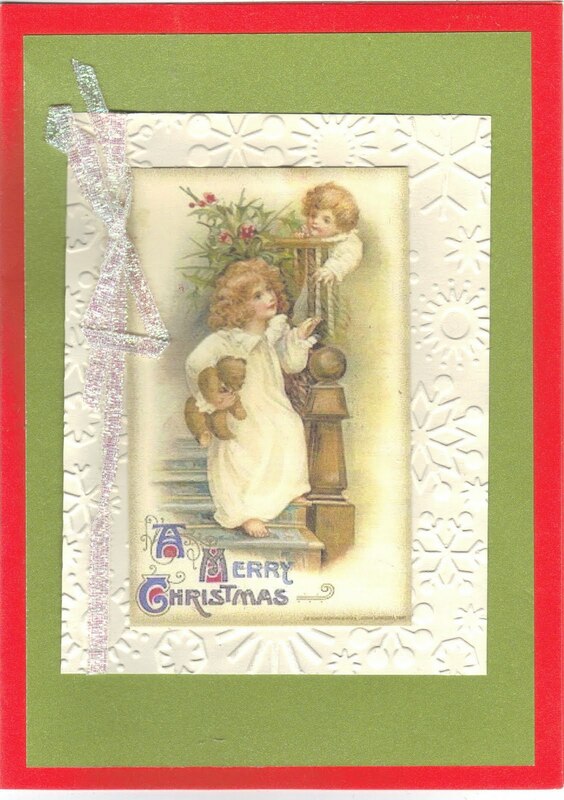 Your image is so Christmasy(is that a word lol) Very vintage. 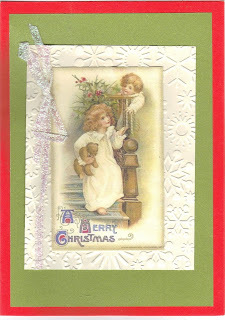 Your card is perfect for a vintage look. . .I love the image and the embossing! Your card is so pretty! Thank you for playing along with us at Christmas Stampin All Year Long! !